Why study at Waseda BK? 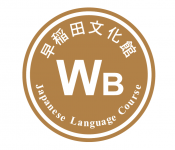 Waseda BK has 3 characteristics that other Japanese language schools can't offer. We have academic career counseling for every student. We have various courses and fun elective classes. Our school facilities create a spacious and comfortable learning environment for students. Within these courses, students can systematically learn Japanese as well as academic Japanese language skills. Classes are designed for students of all levels based on their future academic goals. Preparation classes for the Examination for Japanese University (EJU) and the Japanese Language Proficiency Test (JLPT) are also included into the courses in order to obtain high scores in each test. If you are aiming to learn about Japanese culture, work for a Japanese company please take our regular courses. This course is from 2 weeks to 3 months. 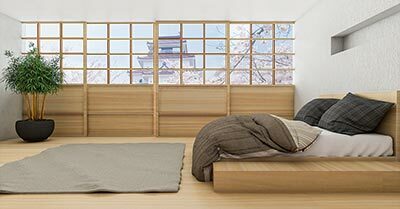 This course is for those who want to take an intensive Japanese course or for those who want to experience Japanese culture before a long-term study period in Japan. Fun events throughout a year! Waseda BK has fun events throughout a year. We have 2 major events in May and October. In May, we go to a day trip! We have been to Kamakura, Fuji Q, Disney Land, and Hakone. In October, we have Sports Festival. Each class has different color T-shirts and participates fun activates. We have great prize for a winner class! Other events are cultural exchange party with Japanese people, watching sumo match, and so on. Fill in this form to get more information about the courses and application to Waseda BK Japanese Language Course. You can also ask questions to the school here. 2. Admission fee (70.000 yen) and selection fee (20.000 yen) will be exempted for long-term student until October 2020. This discount is worth at least $3700. Don't miss this great opportunity! 1. Admission fee (70.000 yen) and selection fee (20.000 yen) will be exempted for long-tern student until October 2020. This discount is worth about $900.